This is the ultimate Arkansas River trip, offering steep drops, technical sections and tight channels on advanced class IV-V rapids near Buena Vista. 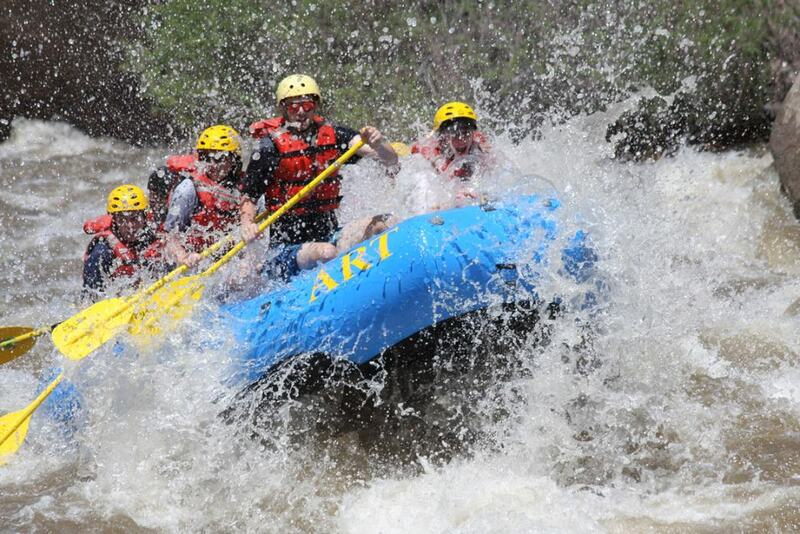 This is the ultimate Arkansas River trip, offering steep drops, technical sections and tight channels on advanced class IV-V rapids near Buena Vista. The Numbers is one of the more storied routes in the Arkansas River Recreation Area, a part of the Colorado State Parks system that follows the river 150 miles from Leadville to the North, through the Sawatch mountains, and past Pueblo. There are eight rapids sections here, jammed in narrow sections between views of the lofty Collegiate Peaks, and spectators on the riverbanks include Rocky Mountain bighorn sheep. State park officials recommend that the Numbers not be run at flows over 2,400 cfs at the Numbers/Belong Granite Gage. The Numbers was named in the 1800s by miners who just numbered these daunting waters instead of naming them. Most trips on the Numbers section of the Arkansas are guided half-day adventures, with about two hours on the river. From the Numbers launch site south to the Riverside takeout, the rapids are rated extremely difficult. The trip features pounding class IV-V rapids with technical drops, followed by boulder fields rated class III-IV. Big drops start at Number One and from there, the action never slows. Thrill-seekers are drawn to the Numbers, which feature giant drops, splashes in the chilled water and narrow channels. This is a demanding part of the river, which many outfitters combine with other less-challenging sections to make full-day or multiple-day adventures. The Arkansas River Recreation Area visitor center is in Salida. From Colorado Springs, take Colorado Highway 115 to U.S. Highway 50, then 50 west to Salida. From the intersection of Highways 50/291, turn north on First Street; drive to G Street, and turn right; at Sackett Avenue, turn left. For an alternate route, take U.S. Highway 24 west to U.S. 285 south. Turn left onto Colorado Highway 291 and drive 7.8 miles to Salida; turn left at Skateboard Park, and drive to Sackett Avenue, parallel to the Arkansas River. 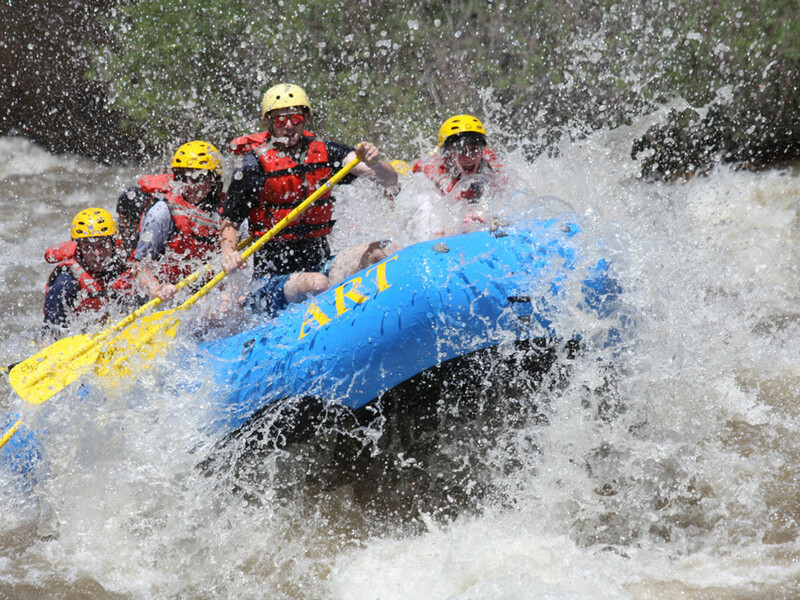 Most outfitters who run rafts on the Numbers have a minimum age requirement (it can vary, from 14-18) and require some rafting experience; swimming skills are also required. Rafters should be in good physical condition. To find an outfitter, check with Arkansas River Outfitters Association. Launch windows for outfitters in most parts of this recreation area are from 8:30 a.m. to 3:30 p.m. with biggest crowds from 10 a.m. to 2 p.m. In the Numbers section from Granite to Railroad Bridge, all commercial trips are launched before 11 a.m. at Granite and 2 p.m. at Numbers. In the Royal Gorge, all commercial trips launch between 8:30 a.m. and 4 p.m. Commercial launches aren’t allowed at flows above 700 cfs at Wellsville. Cold-water gear is suggested and personal flotation devices are required. Recreation area managers suggest private boaters pull in behind the last boat of a group (the outfitters can run up to 10 boats in a group). There are no launch windows for private boaters.